Pro-Ject Speakerbox 5 review | What Hi-Fi? 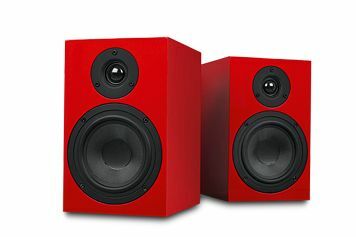 These speakers make a striking first impression. That red finish is lovely, and the black and white options are equally glossy. Despite being rather small, the Speakerbox 5s are reassuringly heavy and well-made. To get the most out of them you need to place them close to a back wall, as further into a room they sound rather weedy. Unfortunately, they don’t perform amazingly even when given some back support. We had hoped for a design that outperforms its physical limits, but the more you listen, the more it feels like the Speakerbox 5s aren’t trying. They struggle to convey dramatic dynamics, and there’s a clear character difference between treble and bass, with the former sounding too forward and the latter too soft. So why three stars? On top of the looks, the Pro-Jects are pretty fast and detailed, and if you heard them in isolation you could be impressed. But the standard of the competition is just too high.